This French Army Fullerphone was probably developed in World War 1 after one the British Fullerphone designs. It seems to have had a telephone embodied and probably a potentiometer. 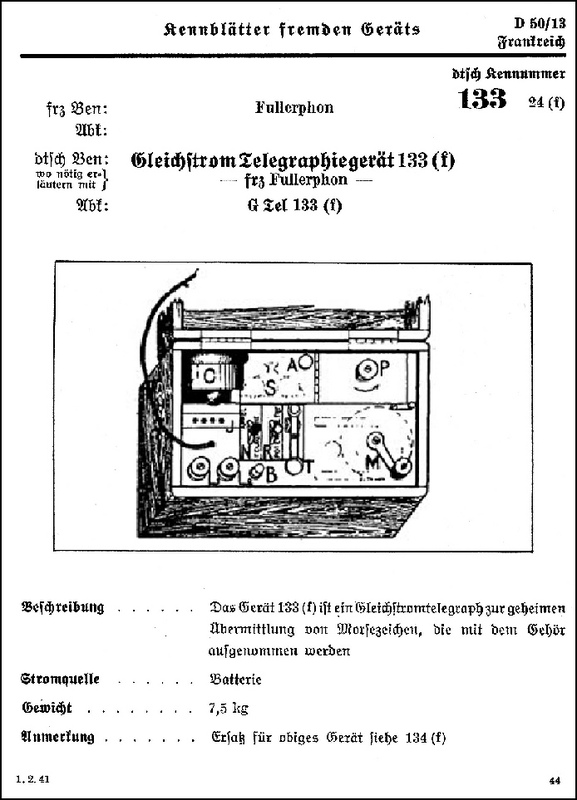 When preparing this page no other information was found as in a German World War 2 datasheet ‘Kennblätter fremden Geräts, Heft 13, Nachrichtengerät’. (Foreign Equipment Data Sheets, Volume 13, Signal Equipment. See also WftW Compendium 3). I am still looking for an original photo and name of this instrument, including further information such as its circuit diagram.